“The History of Mexico” by Diego Rivera found at the Palacio Nacional de Mexico. We’ve been to Mexico many times, so we had certain expectations of welcoming people, great food, and fun times. 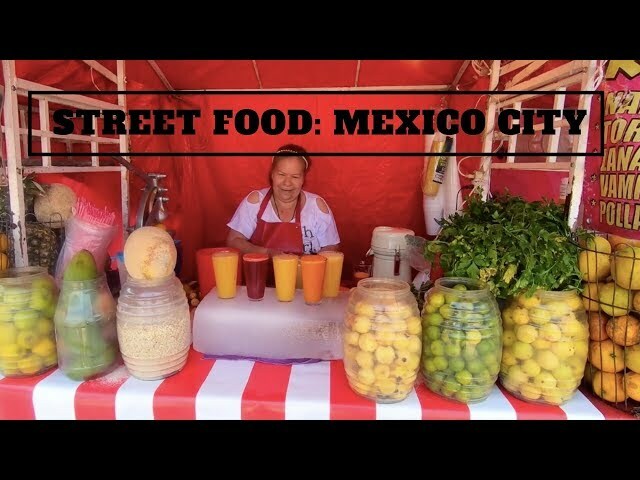 What we did not expect was Mexico City! It beat our expectations and raised the bar. It is another great city of the world with world-class museums, art, archeology, a super efficient, clean, and safe metro system, and everyone is helpful and friendly. Many countries that are known for their hospitality often fall short in the big cities. Not Mexico, everyone we’ve encountered has been helpful and courteous. We have been nomading about the Zocalo and the impressive buildings surrounding it. The Metropolitan Cathedral is striking, and again words and pictures cannot adequately represent it. Built in 1573, it is the largest cathedral in the Americas. The National Palace is a beautiful building and the Diego Rivera murals painted on its walls are stunning. It’s remarkable to purchase something at the Mercado de Volador (Market of the Flyer) which has been the square’s market place for over 700 years! Most impressive for me was the Templo Mayor. The central temple in the square during the Aztec period. Only the base remains because Cortez had it dismantled and its stones used to build the current central temple in the square, the Metropolitan Cathedral. We poled along the last remaining Aztec canals in Xochimilco to the Isla Muñecas (Island of the Dolls), which was a little creepy. And we explored another one of my “have forever wanted to see” places, the jaw-dropping city of Teotihuacan. Kim was a victim of heat stroke and dehydration shortly after we arrived and after she ran up a pyramid. This part of Mexico is hot, dry, and at 2,121 meters (7,000 feet), so no wonder she (and several others) were not feeling well. She made the trek back to our Airbnb, and I ended up touring the ancient city solo. I could not get enough of it. Way nomading about solo at Teotihuacan. We will be nomading about one of Kim’s ‘must go to places’ the Monarch Butterfly Reserve. Butterflies have a special and significant place in Kim’s life, so this was the main reason we came to Mexico City at this time. We also plan on seeing the world famous Anthropology Museum and take you on a street art tour. We will also be writing postcards, so you in the Postcard Club, be waiting by the mailbox. We’ve booked our flights and Airbnb for the next country, and our youngest son will be meeting us there during his spring break! We can’t wait to see him. He’s a SCUBA diver and is excited to dive the “Blue Hole” in the worlds second largest barrier reef. Kim is looking forward to some beach time, and I really want to see the ruins of Caracol. If you have not already guessed, we are heading to Belize. We posted three videos this week, “Guanyin of Nanshan” (AKA The Big Buddha), “One Year as Nomads – Lessons Learned and Challenges Slayed,” and “Taste Testing Chinese Snacks.” Watch (click on the link or watch below), Like, Subscribe, Share. Please and thank you! Only three more videos from China and then we are moving on.